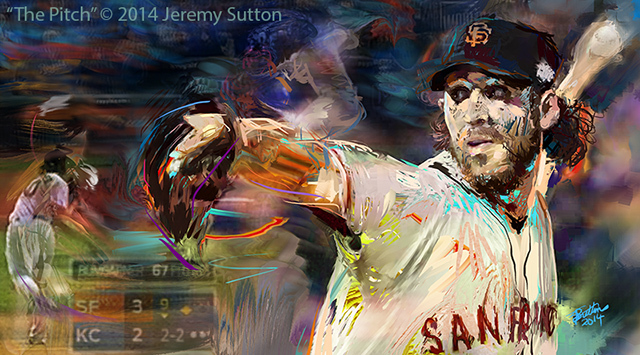 This painting depicts the winning baseball pitch in the 2014 World Series delivered by the games’ Most Valuable Player, Madison Bumgarner of the San Francisco Giants, in the 9th innings with the Kansas City Royals’ Alex Gordon on third base and ready to equalize the score. It was a tense moment for fans on both sides. I can only imagine the intense pressure on Bumgarner at that moment.